Ready to upgrade your tableware in your Ranch or Farmhouse kitchen. A flatware set with a cattle brand design on each and every utensil. A silverware set you'll be proud enough to this play year round or bring it out for the special occasion. 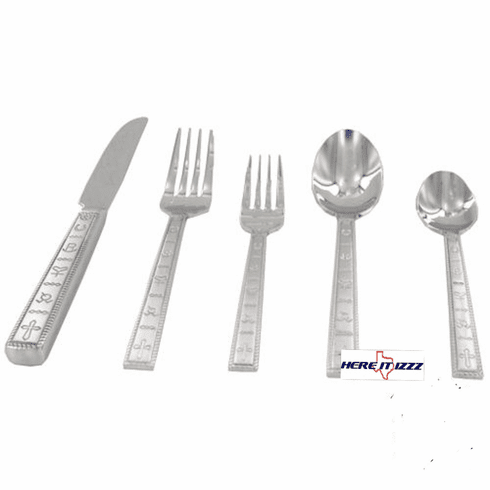 This is a 20 piece set and includes 4 dinner Forks, 4 salad forks, 4 butter knives ,4 teaspoons and tablespoons.